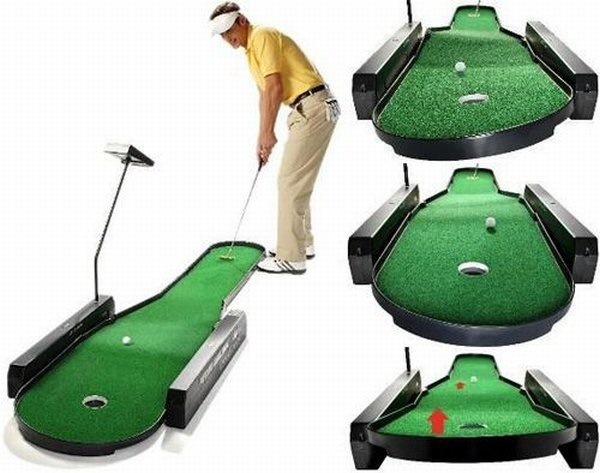 The Putting Challenge is like your own personal miniature golf course. While it’s technically just one hole, the green can actually be transformed into 72 unique configurations with different banks and hills thanks to its flexible surface and a series of motors. It also includes a special console with an LCD display that will automatically track the scoring for up to 4 different players.